Arrive at Johannesburg International Airport where you will be greated by us. The Panorama is surprisingly green with a multitude of rivers and waterfalls. The canyon is covered by lush grassland or vast stands of trees. On offer here are wilderness tours and a haven for adventurers of the lush and tropical nature of the landscape and vegetation. Your journey towards the Panorama Route begins with a drive from Johhannesburg towards Dullstroom. This town is one of the highest settlements in South Africa at about 2,077m above sea level. 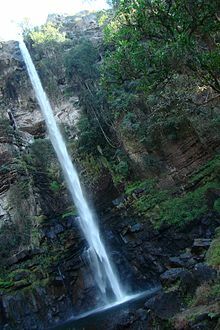 Your next destination will be at Sabie, where we get to view a waterfall amongst dense vegetation which plummets some 70m down a cliff. After a nights rest in Sabie we head towards the awe amazing Sabie Waterfall Route, this remarkable meander takes you through forested ravines and deep valleys, towering cliffs and wild countryside. We make our way towards the Blyde River Canyon where we will rest the night after an amazing view of the panorama at God's Window. The next day enjoy breakfast with spectacular views of the Blyde River Canyon. Its rocky face of sandstone cliffs and the inclines that lead deep into the impressive Blyde River Gorge. It streches for about 25km across the landscape and towers up to 800m above the riverbed which makes it one of the deepest canyons in the world, of course after the Grand Canyon in the USA. We then move towards the Echo Caves. Public access is via a series of secure and well-lit walkways and stairs that showcase the bewildering array of staligmite and stalactite dripstone formations and lead to such wonders at the magnificient Crystal Palace. Day 1: Dullstroom, Long Tom Pass, Lone Creek Falls.